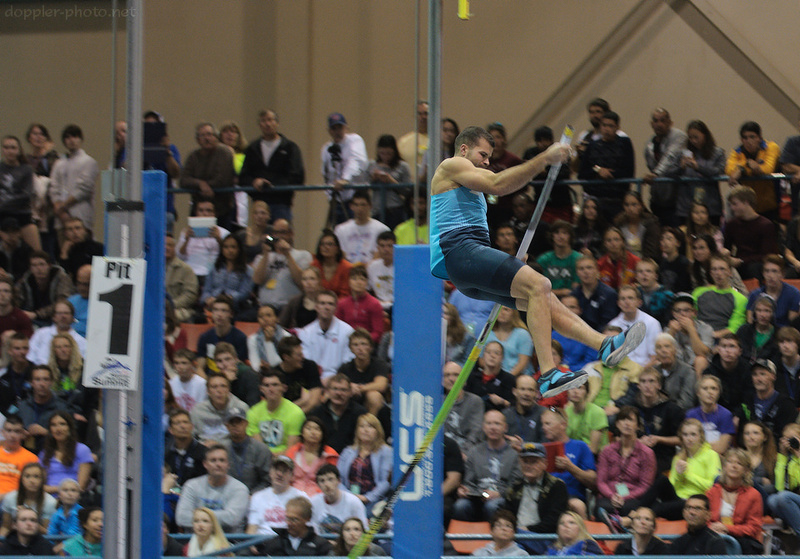 Pole vault is all about taking flight. And fittingly, everything that happens after an attempt centers on preparing for the next time you take flight. Like an airplane executing a touch-and-go, you only land so you can take off again. 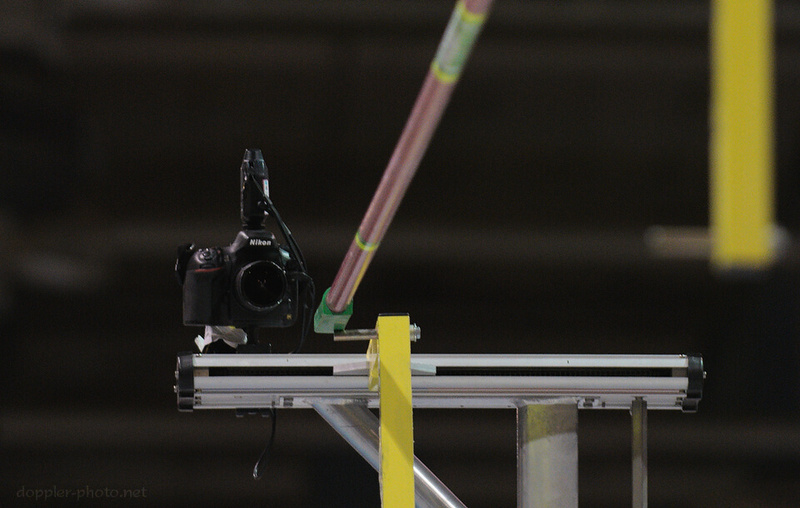 If that last attempt was a clearance (a make), you stick with what's working, or maybe you tweak something to be sure you'll also clear the next height. If it was a miss, you figure out what went wrong, and what you can change to make the bar the next time around. 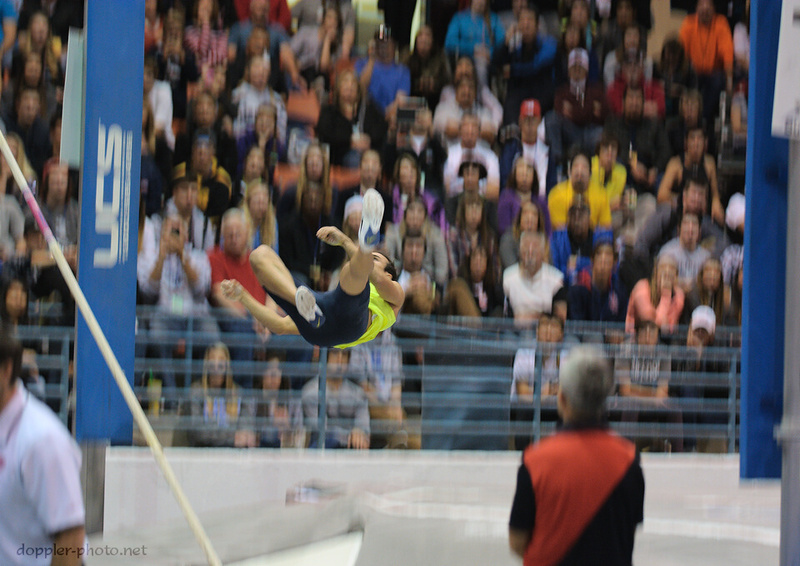 As a reminder, this is Part 2 of a series about what it feels like to pole vault. 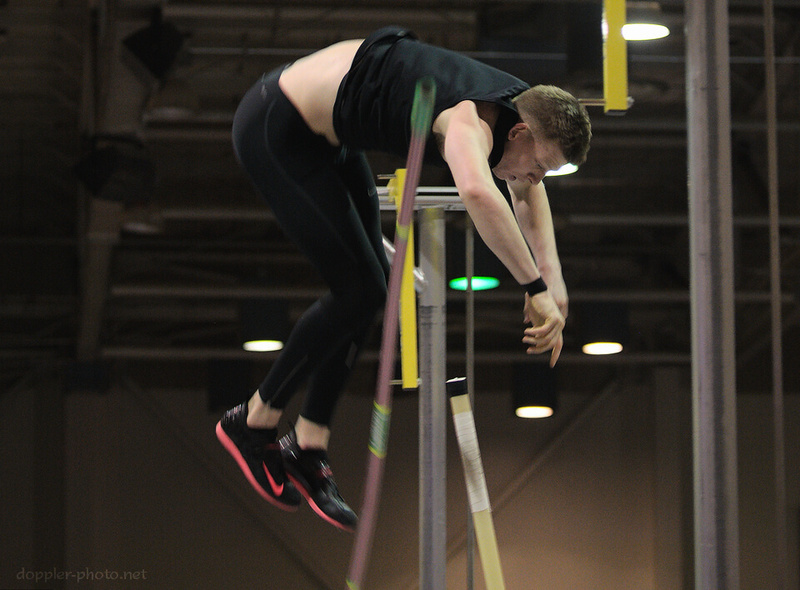 The thoughts are my own, and they're illustrated by photos I captured at the Elite Meet at this year's National Pole Vault Summit. I have no idea what goes through anyone's head but my own. 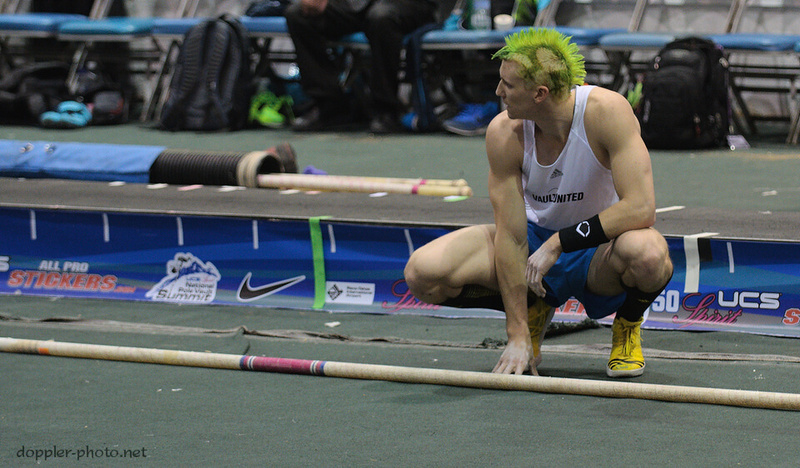 One essential truth of pole vault is that every competition ends with three consecutive misses. 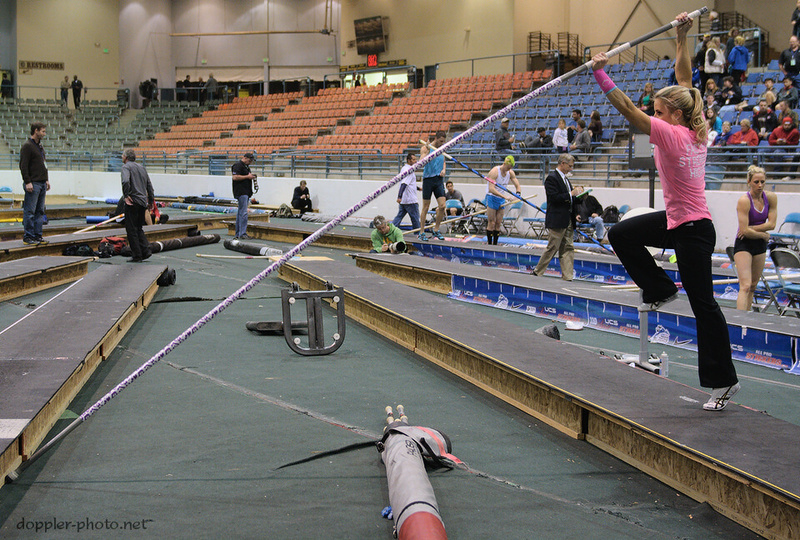 Some misses are great — if you're jumping better than you've ever jumped before, awesome! You raised the bar. But that new milestone has to sit somewhere, and the only way to find out where is to try and fail to go that little bit higher. Some misses are frustrating. You can feel that next height coming. You can taste it. But all the ducks aren't quite in a row, yet. Maybe you got off the ground with that next big stick, but you didn't manage to link up the swing yet. Well, sometimes you have to take things one stage at a time. First you get off the ground. Then you get upside down. Then you try to pull everything together and make a bar. Whenever I move up to an unfamiliar pole, I try to do that on my first attempt, so that I can get comfortable with the first two attempts before I have to make the third one count. Some misses are demoralizing. It's like, you're all set to show the world how it's done. This is going to be your meet. They're going to see a whole new you… And then you trip coming out of the starting gate, and you have to watch the rest of the competition from the sidelines… "That's not how it was supposed to go… What happened?" It's times like those when you have to take that miss (and, perhaps, that entire competition) in stride. Everyone messes up. Everyone has messed up at what seems like the worst possible moment, at the one meet that really mattered. In my own case, my last collegiate meet was an exceptionally mediocre performance at the national championships. It felt like a wasted opportunity, but in some ways it was a stepping stone. 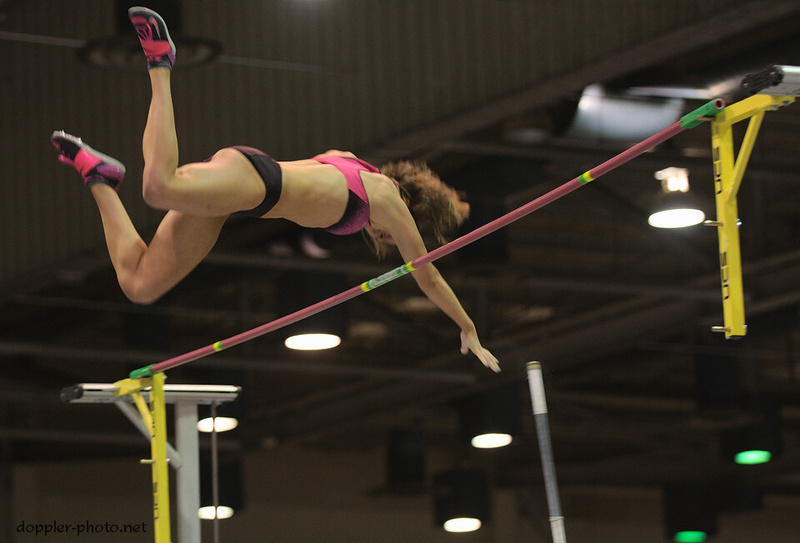 Part of what it means to improve in the pole vault is that you have to take once-in-a-lifetime meets — once-in-a-lifetime opportunities — and you have to figure out how to make them commonplace. The first time you reach that next level, it feels amazing. "Now I'm jumping with the big boys." But as you advance, so do your aspirations. And with hard work, today's demoralizing failure will look a lot more like a small speed-bump in hindsight. 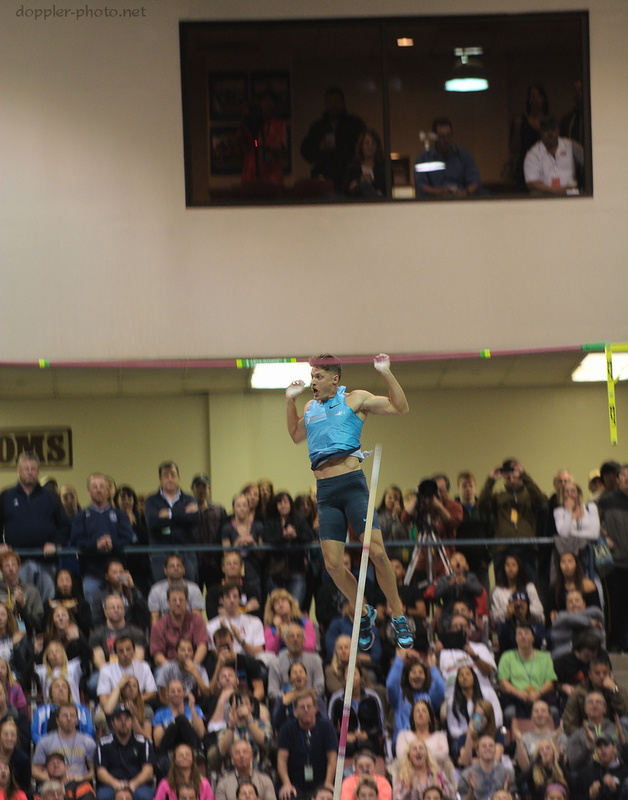 Clearing bars is the pole vaulter's bread and butter. But just like you can have an amazing miss, you can also have a frustrating clearance. Generally, those are cases where your skill just didn't show up, but you had enough luck (or brute force) to make the bar anyway. In college, my coach discussed the concept of a pride line, which is essentially a standard of acceptable performance. Any performance above that standard could be considered reasonable. Below, though, is just unacceptable, inexcusable, and shameful. Where that line sits will vary from person to person, and situation to situation, but the most frustrating clearances are the ones where you performed below that threshold, didn't deserve to make the bar, and cleared it anyway. A make is a make, so you take it, but sometimes it leaves a bitter taste in your mouth. Serves you right. Wake up and make it count next time. By contrast, when you make a monster clearance, it feels amazing. "Yeah, I rocked that bar; I was nowhere near it." Regardless of whether you just started at a conservative opening height, or you're jumping better than expected, it's a confidence-inspiring result. You're firing on all cylinders, and you're ready to bring that heat at the next height. Then there are the surprises. As I mentioned in Part 1, sometimes I will make a mistake, and then correct for it in mid-flight, and make the bar by virtue of having made the right correction at the right time. Other times, I have doubts or fears, but I still manage to execute well enough to clear an unexpected height. "Woah, did I really just do that?! Boom, son." That's also a great feeling. In the next episode, I follow some of the crowd interactions that I saw during the elite competition.